Imagine how lit the day parties would be! 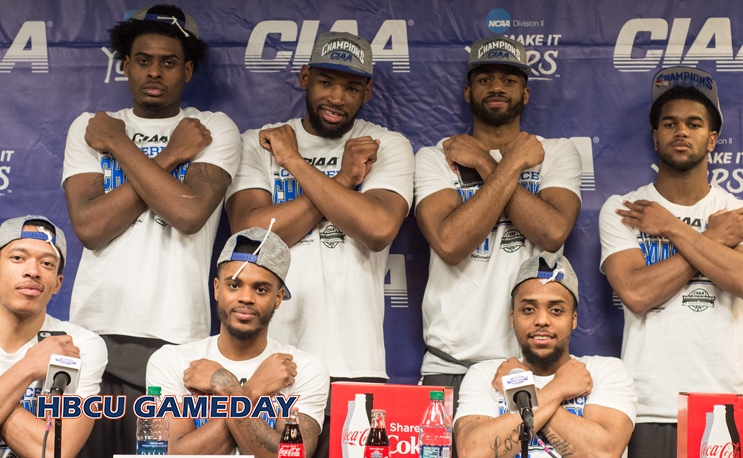 The CIAA Tournament is the source of much debate in HBCU circles, particularly its location. So with it being April Fool’s Day, the conference decided to have a little fun with what is often a serious, heavily debated subject. The CIAA sent out a press release on Sunday morning announcing that its men’s and women’s basketball tournaments will have a new home in the future. Keep in mind this was sent out on a Sunday morning. On April Fools Day. Charlotte, NC (April 1, 2018) – The Central Intercollegiate Athletic Association (CIAA) with its Board of Directors announces Wakanda as the future host location of its annual Women’s and Men’s Basketball Tournament. At the conclusion of its current contract, the CIAA will enter an indefinite partnership with the African nation of Wakanda to host its Women’s and Men’s Basketball Tournament. Contract discussions began when CIAA officials were invited to Wakanda for the highly-anticipated movie premiere of Marvel’s Black Panther. While the proximity of the event to the CIAA’s headquarters, member institutions, and alumni base will increase, Wakanda officials have offered to make the experience feasible for all CIAA affiliates. The CIAA and Wakanda plan to announce further details regarding the tournament schedule and travel accommodations at a further date. The conference will continue its slate of ancillary events surrounding the 22-game basketball schedule, including additions of Wakanda traditions such as advanced Vibranium technology training at educational events and an honorary ceremony which will enshrine the CIAA Board of Directors into the Wakandan Leadership Hall of Fame. For more information about this CIAA April Fool’s Day joke, visit theciaa.com or follow the conference office on Facebook (The CIAA), Twitter (@CIAAForLife), and Instagram (@CIAASports). Nicely done, CIAA.After all, both tournaments were won by teams with the moniker “Panthers” (Virginia Union) and the newest basketball teams, Claflin, also bear the name.